Lise Eliot, What’s going on in there: How the brain and mind develop in the first five years of life. Bantam (1999), p. 449-451. F. H. Rauscher et al., “Music and spatial task performance”, Nature(1993), p.611; “Listening to Mozart enhances spatial-temporal reasoning: Towards a neurophysiological basis”, Neuroscience Letters(1995), p.44-47; “Music training causes long-term enhancement of preschool children’s spatial-temporal reasoning”, Neurological Research(1997), p.2-8. Abbott, Alison. 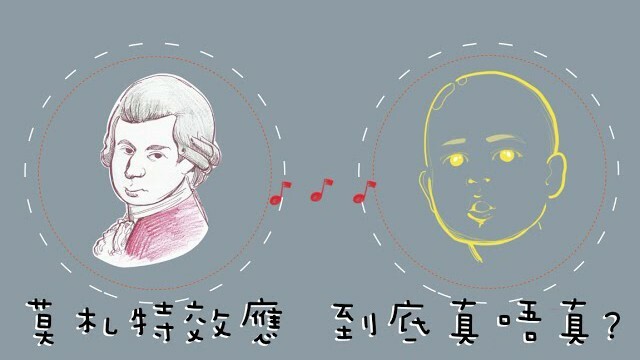 「Mozart doesn’t make you clever」. Nature. com. Retrieved 2009-05-22. John Medina, Brain rules: How to raise a smart and happy child from zero to five. Pear Press(2010), p.22-53. Steele K.M. et al., “Prelude or requiem for the 『Mozart effect』?”, Nature (1999), p.827-827.